In last week’s post, we discussed three key elements of success on GRE Quant. To recap, there are many worthwhile and effective strategies and approaches to Quant problems, but there are principles that undergird a great deal of success on Quant. The principles discussed comprised three different ways to approach Quant problems and the importance of practicing these approaches. We encourage you to read that post for more details. 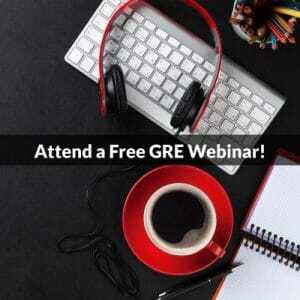 This week, we will continue this discussion of core principles of GRE test-taking success with our discussion of an overall framework or approach to GRE Verbal problems. Read below to find out more. Match the prediction to the answer choices. For students preparing for the GRE (or for many other standardized tests), these steps are likely familiar, if not explicitly, then perhaps as an implicit part of many strategies, but each of these steps warrants attention and discussion so that students can better understand their importance and function in success on standardized tests. Each of the three GRE Verbal question types includes a prompt, either in the form of a sentence, short passage, or longer passage. These prompts include all the evidence and information available to students to use to answer the related questions. One critical test-taking skill students must learn is the necessity of restricting their focus to the information provided in these stimuli. Incorrect answers often take advantage of students’ proclivity to introduce extraneous assumptions and concerns into their analysis. How should students approach stimulus analysis? The pith of successful analysis consists of an ability to observe and articulate the meaning of stimuli, in the form of either a main point or central claim, relations and connections between statements, or in some combination of these two elements. For instance, on a Text Completion problem, the first step will be to assess what the author’s intended meaning is in the stimulus in order to comprehend the necessary meanings of the blanks provided. 2. Translate the Question Stem. Select the two answer choices that, when used to complete the sentence, fit the meaning of the sentence as a whole and produce completed sentences that are alike in meaning. For Reading Comprehension problems, the question stem will vary from question to question. This “Translate the Question Stem” step involves achieving an understanding of precisely what the task involves. This observation may appear platitudinous or self-evident, but one might be surprised how often students make mistakes simply through misunderstanding what the question asks or using an erroneous approach. For instance, consider the Sentence Equivalence instructions above. Many students have a predilection to attempt these problems by looking for two synonymous words among the answer choices, irrespective of how well these words fit the meaning of the blank in the stimulus. This approach leads frequently to attractive wrong answers, included by design to prompt such mistakes. If there’s one test-taking principle on Verbal that is preeminent, it might be the importance of students’ predicting their own responses to questions before considering the answer choices. Essentially, this prediction (or prephrase in PowerScore parlance) is a crucible whereby students test their understanding of both the question and the stimulus and forge an expectation for what they expect or wish to find in the credited response. To formulate an effective prediction, students must achieve an independent understanding of the information provided. Thus, they answer the question themselves, if not explicitly then at least in the form of boundaries of what could constitute a correct answer. This prediction or prephrase becomes a powerful tool for students, enabling them to take ownership of the problem and avoiding many common errors that occur when considering the answer choices. 4. Match the Prediction to the Answer Choices. Equipped with this prephrase, students can now confidently attack the answer choices with an eye for eliminating choices that deviate from their analysis and prediction. It is important to maintain focus on the work that students have already accomplished and not to become distracted or sidetracked by various possibilities among the answer choices. Sometimes students will achieve an excellent understanding of a question only to lose track of this work among distracting and confusing possibilities in the answers. This loss of focus is not happenstance; on multiple choice questions, the answer choices are designed such that incorrect answers will either be plausible, appealing, or confusing, and the credited response may appear opaque or undesirable. To succeed, students must emphasize the importance of working from process of elimination, focusing on “what’s wrong” rather than looking for “what’s right.” When students look for “what’s right,” there is a common tendency to start to “make a case” for incorrect answers, envisioning ways that wrong answers could conceivably be correct. Thus, steps 3 and 4 work in tandem. Students must make a powerful prephrase and maintain focus on this prephrase as they assess the different answer choices. If we had to reduce these steps down to one transcendent principle, it would be the importance of students performing their own work, relying on their own analysis, and focusing their attention on the scope of the material provided for each question. As noted, these steps may appear self-evident, but to master these steps and to embrace this philosophy take consistent practice and diagnostic self-assessment. 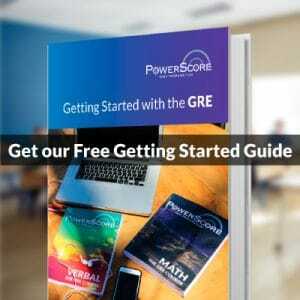 The good news is that with sufficient practice, many if not most students find that they have both the intelligence and skill set needed to achieve great success on GRE Verbal. Thank you for reading. Please register for and visit our free GRE forums to ask questions and receive expert responses to all your GRE, GMAT, or grad school inquiries. We are also excited to announce that next Thursday will conclude our current cycle of online GRE seminars with a discussion of the Elements of Argumentation on the GRE. Register now for free and receive a discount off one of our GRE classes!